Wednesday's Reds-Pirates game in Pittsburgh had a long rain delay, and was a blowout to boot. With a few hundred fans left by the end, you could hear every one. Brandon Phillips sure did. 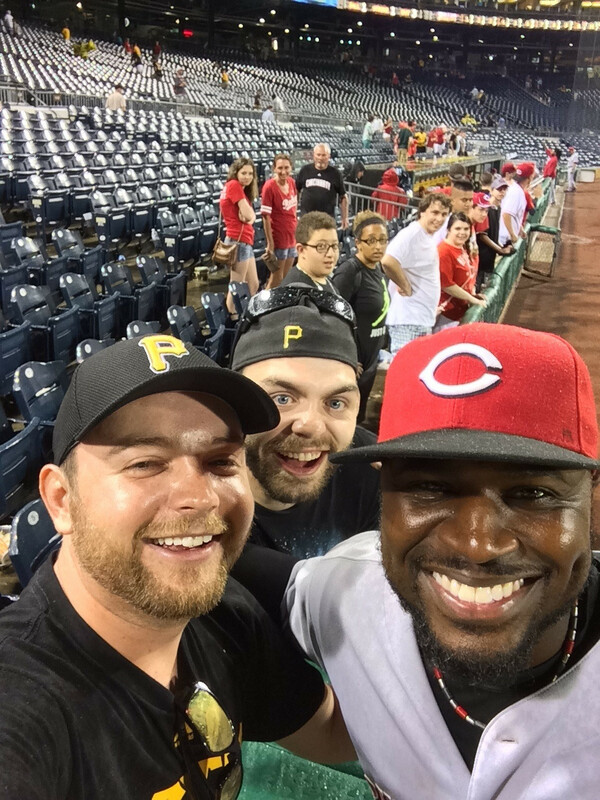 My brother attended the Pirates/Reds game tonight and decided to get drunk and do some heckling. He started on Joey Votto earlier in the game, yelling things like "Votto has feminine hips!" and "Looks like Votto could easily birth twins!". He said the crowd around him were chuckling the entire time. Rain delay in the 7th inning, but afterwards, he got started on Brandon Phillips. Yelling "Hey everybody, look how slow Phillips is!". My brother said the stadium was almost empty at this point, so his heckles rang loud and clear. According to him, Phillips even looked over and chuckled at one point. 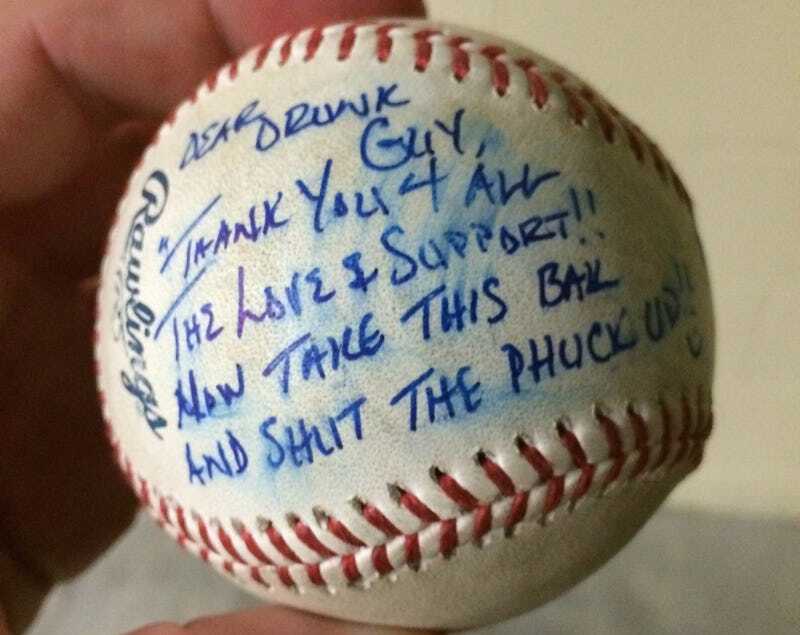 Anyways, after the game, Brandon Phillips runs over and hands my brother this ball. He said Mr. Phillips was completely cool about the whole thing. We're Pirates fans, but I'll be rooting for the Reds as long as is doesn't mess with Pittsburgh's chances at a pennant. There's also a photo of Phillips posing with his heckler. He does look drunk.